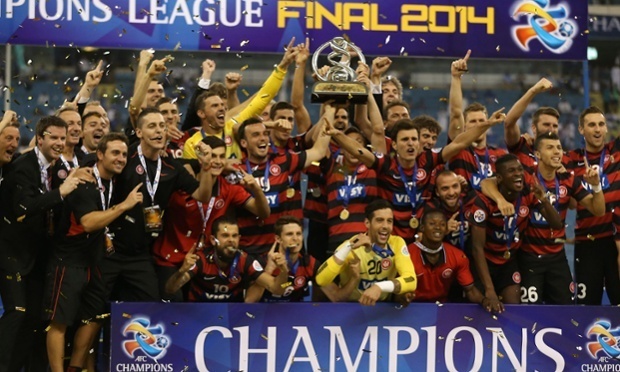 sportsmatrix » From Heroes to Zeroes – Where Did Western Sydney’s League Form Wander Off To? With the chance to play Real Madrid in the FIFA World Club Cup on the horizon, you might think it would be happy days for Asian champions Western Sydney Wanderers. Nothing could be further from the truth. After a 2 year period in which they won the Australian A-League and took continental honours in the AFC Champions League (Asia’s equivalent of the European competition), the Wanderers find themselves bottom of their domestic table, without a win in 6 games. It is hard to recall a fall from grace as sudden and unexpected in world football, so has this dramatic reversal of fortunes taken place? Following a disappointing draw with the Central Coast Mariners last week, coach Tony Popovic has pointed to the team’s grueling travel schedule in recent weeks, thanks in some part to their Champions League success. “I don’t think any of our players will be fully up to speed until February,” claimed Popovic, apparently in an effort to buy some breathing space from the media who are questioning the Jekyll and Hyde nature of the Wanderers’ performances this season. But there must be on-field factors which are affecting their performances. The team has scored 5 goals in 6 games in both this season’s A-League campaign and their AFC Champions League games from the quarter-finals onwards. Their attacking penetration has actually been less incisive in the AFC Champions League games, creating an average of 5.3 ‘good scoring chances’ per game, compared to 9.7 domestically. But they could be a lot more clinical. While the Wanderers actually produced a higher number of ‘good scoring chances’ in the AFC Champions League, a strike force featuring Australia international Tomi Juric has not managed to convert them into any more goals than in their A-League campaign. Crosses are an area the Warriors could improve in when playing in their native league. A remarkably high average of 14.8 crosses per game result in the opposition regaining possession, while in continental competition this average is just 8.7. An unavoidable difference is that in the AFC Champions League, their defence conceded only 1 goal from the quarter-finals onwards. A central defensive pairing of Brendan Hamil and Nikolai Topor-Stanley was the bedrock upon which the glorious AFC Champions League was built upon. That partnership has started only 1 game together in the A-League this season as Popovic has juggled his stretched resouces – another crucial factor. Now the fanfare has subsided after Wanderers’ unforgettable AFC Champions League triumph, it is time for Australia’s first continental champions to concentrate on their bread and butter.